Meet our regulatory experts Céline Janvier and Sophie Aviron-Violet at the 3rd Conference of Applied Hygiene, Microbiology and Virology in Hamburg. 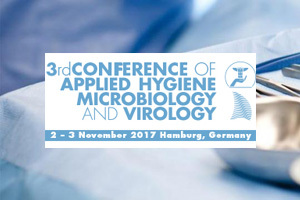 The Institute of Hygiene and Microbiology and Dr. Brill + Partner GmbH presents the Third Conference on Applied Hygiene, Microbiology and Virology in Hamburg, Germany. The conference will serve as a platform for scientific know-how and information transfer on a discussion forum focused on efficacy testing, development, registration and application of prevention and control products. Infections, such as disinfectants and antiseptics. The conference will combine the knowledge of highly recognized experts in the applied sciences of hygiene, microbiology and virology with practical experiences of the user.